My first post of 2015 mentioned some nifty new glasses I've been sporting from Firmoo.com. They are a pretty sweet deal if you ask me, and are much cheaper then ordering from an optical store. I know how this feels from both ends of the spectrum because I am an ABO certified optician and sold eye wear for many years. As an optician you want your patient to get the best options for their needs and sometimes this gets costly, especially if you do not have insurance. Today I want to share with you some tips on ordering eye glasses online. It can be quite daunting if you are unfamiliar on how to read your rx (prescription) and what information they are asking for in the ordering process. 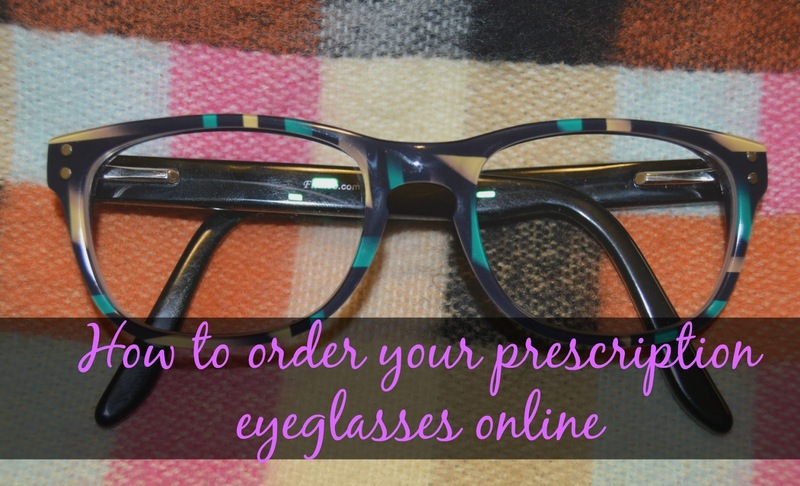 The most important thing you need to do BEFORE ordering glasses from an online shop is make sure you have a current prescription. In most states that I am aware of, prescriptions are good for 1 to 2 years. If you haven't had your eyes checked for over 2 years, please do this first. It will save you in the long run. Once you have had your exam and your doctor is recommending new glasses, I recommend still working with the optician. Try on as many shapes, sizes, and colors as you'd like. This will help you get a feel for what works best for you. Remember when ordering online you cannot try them on. So pay close attention to the sizes you are trying on as well as the shape when you're in your doctors office. F048: This is the frame style or name. 49: This is the eye size or the area you are looking through when the glasses are on. 18: This number is the bridge; or the size of the area that sits on your nose. 140: This number is the length of the temple (arm). C1: This is the color of the glasses according to the company that makes it. The next step is also important and I feel necessary to be done by a professional. The online ordering form is going to ask for your PD (pupillary distance). This is the measurement of the distance between one pupil to the other. Most online ordering companies will instruct you on how to do this but from personal experience, letting the professional do it for you is the better option. This part is SUPER important and very sensitive to your final product. Please make sure you transcribe your prescription EXACTLY as it is written on the paper provided by your doctor. One little tiny typo can cause you big problems. And most of the time that problem will cost you. If you made the mistake; an online shop normally will not remake these for you without payment. The same thing goes for the frame. This is why you must pay close attention to the details. Once you have put in all of your prescription items, the site will ask you if you want any other options. These options include things like Anti-Reflective Coating, Transistions (The ones that get dark in the sun), Scratch protection, and so on. Most of the time these things are just options to preference. You do not have to add them. Now you just hit send, pay, and your glasses will be on your doorstep in no time! So what do you think? Will you order your next pair of glasses online? This is great information! My last pair of glasses was somewhere between 4 and 5 hundred dollars and that is just way too much to be paying for glasses. I don't know if I'll need a new pair any time soon but if and when I do, I'll definitely be trying out online shopping for them. I received a pair from Firmoo too and I was surprised at how easy it was to order them online. I was pleased with the pair I chose too. This is great advice...thanks for sharing! They really have a great system! It is super easy but I can also see where it could confuse someone! No joke I have my firmoo web tab open right now on my desktop. i have to order them!! I love my glasses from them! They made it easy. Can't wait to see what you pick! This is so helpful! I've noticed my eyesight has worsened in the last two months. With the holidays, I didn't have time to see an eye doctor, but I'm going this month. My last pair of glasses cost over $300, and that was with $20 frames. I definitely want to look into online options, so this is great advice! It really is super easy and a lot cheaper online. If you ever have any questions let me know! Always happy to help! This is great info. I am pinning this for the future, so when I need new glasses I can hopefully find them cheaper! Thanks! I'm so glad you found this helpful! If you meed any help let me know!